These days I’m reading, thinking, and preaching a lot about heaven. This comes as a culmination of some preaching I did in 2018 on Christ’s return, which in turn led me into conversations with people about the intermediate and final state. Last Lord’s Day I preached on our bodily resurrection, and then spent time with some brothers in pastoral ministry in England yesterday thinking through some of the implications of this. Of the many fascinating topics which have arisen from those fraternal discussions that of burial and cremation emerged prominently, especially as an issue in the United Kingdom more broadly. In my own pastoral context, burial is still the default choice for believers when it comes to planning their funeral. This means that in my recent preaching on heaven I had little work to do in explaining burial, less of defending it as a distinctly Christian way of marking the passing of our loved ones. In this article I want to address what I didn’t focus on in my preaching, providing some perspective on whether burial or cremation should be the choice of the Christian. My prayer is that this might provide some needed guidance for those who are in doubt on the issue, that it might lend dimension to the act of burial on the part of Christians, and that it might be of some consolation to those who have opted for cremation for loved ones. A whole Bible theology of burial would be a fascinating and fairly fulsome study. In the life of Abraham, Joseph, and Jacob bones are borne and buried with considerable care. Abraham’s insistence on having a space of his own to bury Sarah, Jacob’s burial away from Egypt, and Joseph’s demand that his body be part of the Exodus are not mere pieces of biblical trivia, or family tradition. It is clear from these accounts that the burial of the dead was not a small matter, nor was it treated in a dismissive or cursory way. Burial was laden with significance, and was intimately tied to the promise of a better country, as well as ancestral concerns. Contrast this with the crass dualism of the YOLO generation, of the neo-gnosticism which Nancy Pearcey so helpfully exposes in her marvellous Love Thy Body and one can quickly see that how and where one’s mortal remains were laid was of considerable significance. Fast forward to the New Testament, and burial and resurrection are of both literal and metaphorical importance. Literally, the experience of the Saviour in being buried in a borrowed tomb, and its consequent emptiness, are of central and substantial importance to what the gospel is, and what it is not. Burial and resurrection were not metaphorical in Jesus’ case – he physically died, he was physically buried, he was physically raised, and he physically appeared to his disciples. Jesus was no spectre but had a resurrection body which burst the bonds of the grave’s tyranny. The believer carries this literal event into the metaphorical framework of their baptism, where the imagery is that of being buried and then rising to new life in Christ (Romans 6) – the resurrection that is testified to in this volitional act is the correspondent of the burial that it assumes. This is not pageantry but a clear pointer back to what Christ has literally done, and forwards to the Christian’s ultimate hope on the Final Day. The believer’s burial is an extension of this metaphor, but only in the sense that the metaphor will be literally substantiated when Christ appears. Paul’s argument in 1Corinthians 15 about the body being a buried seed awaiting harvest is not just his pressing of a cultural norm into a doctrinal framework, but is objective teaching on the mechanics and dynamics of what will happen at the resurrection. The expectation is that believers will be buried as a pointer to, and in anticipation of, their mortal remains being raised. Even Paul’s doctrinal euphemism of believers ‘falling asleep’ presupposes a morning, and the Christian’s rising to a new Day. All of this ought to give us pause, and ought to govern how we direct our loved ones about our funeral. To opt for burial in a cremation culture is to showcase in a stark way the distinctiveness of the Christian’s death, and the hope that it holds. To be buried is to map our own laying down in the grave on to Jesus’ death and resurrection, and it serves as a signpost to the glorious future which we anticipate. To any Christian seeking counsel on this I would firmly point them in the direction of burial rather than cremation, not as a matter of tradition, but as a matter of illustration and expectation, as a matter of making the reality of what Christ has done visible for all to see. Everything shared so far may have a concerning and compounding effect on those who have opted for cremation for a loved one already, or who have lost family members at sea, in the air, or in other similarly tragic circumstances. All of us are returning to dust, and each of will be brought to life when Christ Jesus appears in his glory. We must not allow ourselves to entertain fears that cremation has cancelled one’s part in the resurrection, or that it has in some way contravened the testimony of a loved one who has passed away. Those thoughts must be brought to the reality of God’s grace in the gospel, and of Christ’s power over the grave, and resolved there. We must not allow anxiety or fresh convictions to overcome us with regret or with remorse about what has passed – nor must we allow them to drive us in to moral panic if a loved one’s wishes are contrary to what we might believe. Christ will bring with him all who have fallen asleep, he will gather his people from the four corners of the earth, and none shall be left, none shall be missed, none shall be overlooked regardless of how their funereal rites have been exercised. The God who formed us from the dust will likewise find us in the dust on the final day. 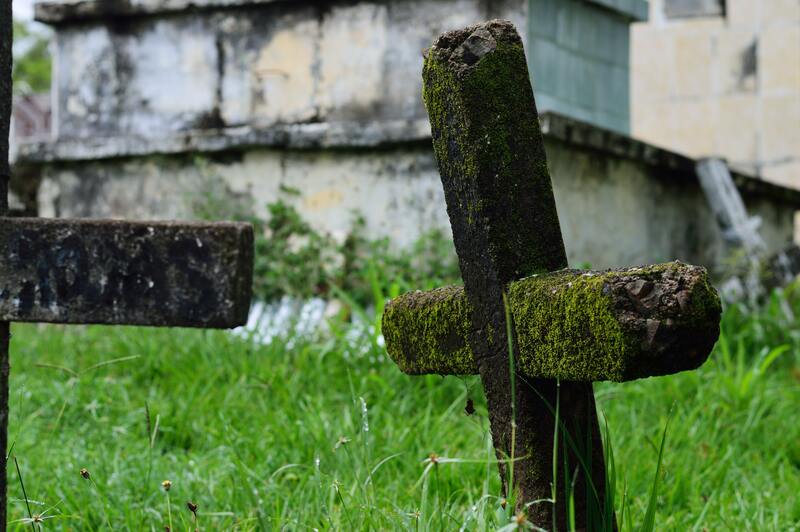 For some believers burial is an unthinkably costly option, particularly in large cities where interment is exorbitantly expensive, and this may have been the deciding factor in funeral choices. For others cremation has just been where the culture has led them to with little thought of the doctrinal or ethical issues it entails or typifies. What matters is now, and how you can go forward should burial seem like the most biblical option. If costs are a concern, speaking with one’s pastor/elders about the implications of this might provide hitherto unthought of options, if more clarity is needed about how to best embody the gospel in our burial the same men ought to be able to give us direction. This is a serious and sensitive issue, and it is one in which major emotions and memories are bound up. Burial and cremation must not become a dividing line between believers, but where the biblical imagery is best honoured, where the resurrection hope is to be best heralded, and where the Final Day might best be featured is the best option we can take if it is in any way available to us. Andrew, thanks for this post and thank you for your ministry to us this week in Crawley. Thanks Rich! Was great to have fellowship with you this week.